Travel to Panama for Spanish Learning | Panama has it ALL! Learn Spanish in a Tropical Paradise! Panama, much more than a Canal: the path less traveled! Panama in the Press: discover what the world is saying about Panama and why everybody wants a language travel vacation in Panama to learn Spanish. 10 Reasons to Visit Panama: Top 10 countdown. 1 Amazing Country, 10 Incredible Destinations: explore the provinces of Panama: Bocas del Toro, Coclé, Colón, Chiriqui, Darién, Herrera, Los Santos, Panama, Veraguas and Kuna Yala. Panama, the Hub of the Americas: planning a trip to Central or South America? Copa Airlines: the fastest and most direct way to travel in Latin America. Quick Facts about Panama: Where is it exactly? What language is spoken? How about the weather? Why Learn Spanish in Panama? "The Isthmus of Panama is home to some of the purest natural beauty in Latin America: dense tropical rain forests, wide savannas, coral reefs bursting with aquatic life, and delightfully deserted beaches. The latest idyllic spot to emerge on travelers' lists is Bocas del Toro, an archipelago made up of nine islands and hundreds of cays and islets. In the country's northeastern corner—a one-hour flight from either Panama City or San José, Costa Rica—it's a sanctuary where the main mode of transportation is a wooden motorboat, dolphins swim through crystalline waters, and dockside restaurants serve the local fishermen's catch of the day. ."
"Panama made the #1 Spot on the New York Time's 45 Places to visit in 2012: "Go for the canal. Stay for everything else." "These days people do go there. I went to the Bocas because I'd heard that the archipelago, with its ramshackle main town, verdant rain forests, and alabaster beaches, was a raw iteration of an earlier Caribbean tucked twenty miles south of the Costa Rican border. And I'd heard that the islands—part of the 1,793-square-mile Bocas del Toro Province—were a test case for sustainable tourism, a region where people were building ecolodges fueled by solar power and trying to integrate, rather than alienate, the indigenous Ngöbe-Buglé people. And in doing so, they were providing guests with a more genuine experience of the region. " "Panama lets you get a taste of the whole of Central America in one trip, its small size means you can easily swap between Caribbean and Pacific coasts, as well as getting inland for jungle and wildlife experiences." "Which Panama is right for you? Here's a snapshot of Panama's defining experiences: a modern capital on the canal, near-deserted islands, and mountain trails for spotting wildlife and waterfalls." "A fortnight discovering one of Central America's best-kept secrets is among the highlights of this year's programme for young, independent trail-blazers with STA Travel, the student and budget travel specialists." "Unfettered by tourist crowds, Panama's natural gifts shine. Although most travelers to Central America set their sights on tourist-soaked Costa Rica, in Panama it's hard to shake the feeling that you're in on a secret the rest of the traveling world has yet to discover. Most of Panama's highlights are still very much off-the-beaten path destinations, but this is likely to change in the years to come. With highland cloud forest's vast tracts of wildlife-rich jungle, a cosmopolitan capital city and two coastlines teeming with sparkling beaches and vibrant coral reefs, Panama is so much more than just a canal." "A lot of people like to compare Panama to Costa Rica 15 or 20 years ago. There is a ton of nascent eco-tourism, and an embarrassment of wildlife and natural beauty to see. - just as in Costa Rica. But parts of Panama are undeniably first-world, and priced accordingly." "Panama has much of the same appeal as a destination like Costa Rica -- rainforests, volcanoes, and snorkeling. Panama City is the only metropolis that has a rainforest within the city limits, and on a clear day, hikers at the summit of Volcan Baru can often see both oceans at the same time. Isla Coiba, once home to a penal colony, is now part of a national park and UNESCO World Heritage Site that has the second largest coral reef in the eastern Pacific. Here, you can see sharks, dolphins, turtles, whales and other big marine life. For a tropical beach experience, go to one of the 1,500 islands off the Pacific and Atlantic coasts." "Panama is one of the world's rare places where in a matter of hours you can go from the wild untamed nature of the Pacific Coast to the laid-back influence of the Caribbean. 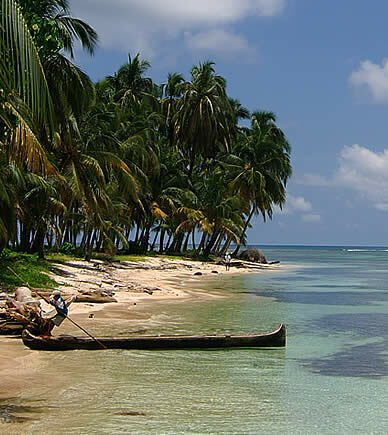 The two coasts of Panama are different types of Paradise. The country is now considered "hot" from both and investment standpoint and for recreation. Retiring Americans are snapping up land and investment is taking place. From what I saw Panama stands poised to be the next Costa Rica." From cloud forests to Caribbean beaches, Panama overflows with natural wonders. In the span of a few hours, you can explore dense jungles and lounge on sunkissed beaches. 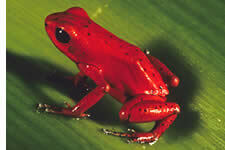 However Panama's greatest natural wonder is the incredible abundance and variety of wildlife. With the full complement of neotropical fauna including 900 species of birds, Panama is a naturalist's dream. There's no secret as to why Panama is regarded as one of Central America's top outdoor destinations. On land, you can explore tropical cloud forests, climb extinct volcanoes or trek through virgin jungle. In the water, you can surf across barreling waves and dive among hammerheads. Because tourism is just beginning, prices are still modest and your money will go a long way. Panama was the first Latin American dollarized economy making currency matters easily handled. You'll get superior and personalized service at a lower cost. Panama's inflation has historically been very low and the cost of living is definitely inferior to the U.S.A., Canada and any country in Western Europe but the quality of life is absolutely superior. After visiting Panama you might even want to stay living here! 9. Panama is Tourist Friendly: WELCOME!!! 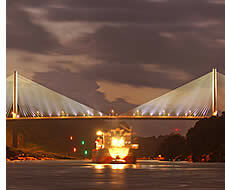 Since prehistoric times Panama has been a country of transit. Panamanians have been working close to foreigners for centuries. There is a long tradition of service to foreigners as an international crossroads and many people speak English as a second language. Panamanian people are amongst the friendliest in the world. They are known for their peaceful, get-along and fun loving nature. As most countries in Central America, Panama is just a short plane ride away. 15 major US cities offer direct daily flights to Panama City: Los Angeles, New York, Newark, Washington, Denver, Boston, Miami, Houston, Dallas, Ft. Lauderdale, Ft. Worth, Chicago, Tampa, Atlanta and Orlando. 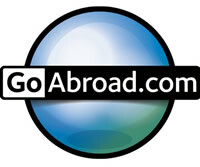 Try United, Copa Airlines, Delta, American Airlines or Spirit Airlines. AirPanama has direct flights from San José, Costa Rica to David (30 minutes from Boquete) and Nature Air flies from San José to Bocas del Toro in case you want to skip flying to Panama City or if there is not any airline offering direct flights from your city to Panama. You can also fly from Europe via Madrid with Iberia, from Barcelona with Avior Airlines, from Amsterdam with KLM, from Frankfurt with Condor, from Paris with Air France, from Lisbon with TAP Portugal and rumors are that direct non stop flights will be also offered from London in the near future. From Europe you can also fly to Panama via the USA. Kayak is a good tool to find the cheapest flights to Panama from anywhere in the world. 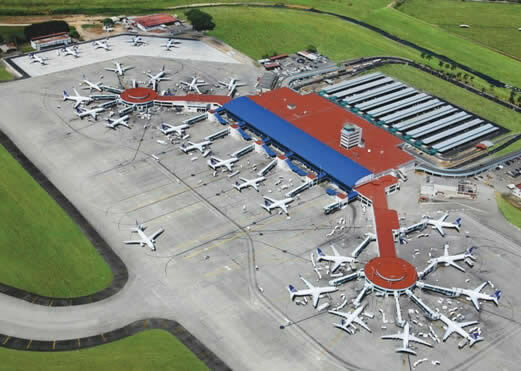 For more info about international and domestic flights in Panama go to our useful info section about Airlines in Panama. Panama has a sophisticated service-based economy, the second largest Free Trade Zone in the world, a banking sector with over 100 banks and many international corporations have their Latin American headquarters in Panama. The Panama Canal's expansion is one of the region's most ambitious projects and real estate and the tourism industry are booming. The highway and road infrastructure, hospitals and medical care, telecommunications and business services are excellent-comparable to the USA as noted in the ARRP's Modern Maturity magazine. In Panama you can drink water from the tap and have a high speed internet almost anywhere in the country. Panama has one of Latin America's most exemplary and stable democracies. First rate hotels, restaurants and shopping on par with the United States but conveniently priced with Panamanian values. 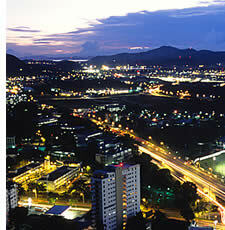 Panama is one of the safest countries in Latin America for tourists and for residence. In fact, it is one of the safest tourist destinations anywhere. For this reason, dozens of multinational companies are changing their Latin American headquarters to Panama. More than 100 multinational companies have offices in Panama, including: Dell, Hewlett Packard, Procter & Gamble, Coca Cola, FedEx, United Airlines, PriceSmart, Citibank, ExxonMobil, ChevronTexaco, Radisson, 3M, AES, Avaya, Caterpillar, Homewatch CareGivers, Johns Hopkins International Medicine, Telefonica, Sumitomo, Itochu, Mitsui, Sony, Matsushita, HSBC, Cable & Wireless, Harcrow, Samsung, LG, Hyundai, Nestlé, Roche, Peugeot, Western Union and Thunderbird. Ask any foreign resident and they'll tell you how safe they feel living in Panama compared to any other country in Central America. Unlike other countries, taxi drivers are honest and purse-snatching and pick pocketing are rare. No express kidnappings or mafia/drug related crimes. But this does not mean that you can be foolish: take care of your personal belongings and do not be careless with your safety. In Panama we say, "la ocasión hace al ladrón"; something similar to temptation makes the thieve. In Panama you're also safe from natural disasters. Panama is the only hurricane-free zone in Central America and the only country with non destructive earthquakes that unfortunately hit our neighbors. In Panama, history is not restricted to museums. It is all around you. In a stroll down the cobblestone streets of Casco Antiguo, past ornate seventeenth-century cathedrals. In the majestic ruins of old Spanish forts laid siege to by English pirates. In the proud, vibrant cultures and independent comarcas of our seven indigenous Amerindian tribes. In the thriving and lush tropical rainforests, virtually unchanged since the dawn of time. In the engineering marvel that is the Panama Canal. And in the cultural and culinary legacy left by those who came to build it. Come nose to nose with a red-naped tamarin monkey or a trio of colorful toucans. In Panama, you'll experience nature up close. Panama's expansive, tropical rainforests are among the richest and most complex ecosystems on the planet. Not surprisingly, Panama is home to the greatest number of animal species in the world. That includes 954 unique bird species and over 1,500 kinds of butterflies. Plus an astonishing number of mammals and reptiles. All of which makes Panama an eco-paradise for you. Spend the night in a treetop lodge in the heart of the rainforest. Discover a Resplendent Quetzal in Chiriqui's highlands. Explore the rugged wilderness of Parque Nacional Darién with a guide, and perhaps catch a glimpse of a jaguar. Or search for exciting finds along a coastal preserve. Panama offers a sea of enticing choices: two beautiful oceans to explore. Will you swim in the blue waters of the Pacific? Or in the clear turquoise of the Caribbean? Wherever you go in Panama, you're never far from the water. Or a new adventure. Explore our tropical coastlines, with their gentle breezes and endless stretches of beautiful white or volcanic sandy beaches, perfect for sunbathing. Seclude yourself in a coral cay. 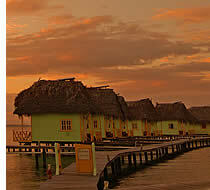 Or discover the lovely, unhurried world of our three archipelagos: Las Perlas, Bocas del Toro or Kuna Yala. Head outdoors for snorkeling, scuba diving, surfing, deep-sea fishing, rafting, kayaking and more. And when the sun goes down, relax over a delicious Panamanian dinner. Or sample our impressive array of international cuisines. Panama is the natural bridge that unites the Americas and because of its unique geographical position it has the greatest diversity of wildlife in Central America. Flora and fauna historically endemic to South and North America have mixed and evolved over time in Panama (which literally meaning abundance of), resulting in tremendous bio-diversity. Almost 1/3 of this natural link is covered by National Parks. 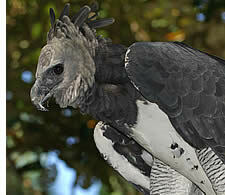 There are said to be over 10,000 varieties of plants and 1500 species of trees, and more than 1,000 species of birds. This is more than can be found in North America and Europe combined, and it includes some of the rarest on Earth. There are also 220 mammals and 354 reptiles and amphibians. There is a saying that in Costa Rica, there are 20 tourists to look at one bird, while in Panama there are 20 birds for one tourist to look at. There is much truth to this. In Panama you can hike eco-trails, zip line in the rain and cloud forest, relax in hot springs, raft in class IV-V rivers, do rock climbing on natural walls, go on coffee tours, visit indigenous communities, do canyoning and rappelling, go scuba diving or snorkeling, do incredible surfing and much more. Panama has not one, but 7 Indigenous groups. Each of them has preserved its own fascinating lifestyle. Many live in accessible locations and are happy to share their life and culture with visitors. 1. Panama is a Happy Country: Come and Be Happy! The Central American country of Panama makes the top five, according to a study published measuring people's happiness and their impact on the environment. Vanuatu, Colombia, Costa Rica, Dominica and Panama complete the top five in the Happy Planet Index, compiled by the British think-tank New Economics Foundation (NEF). For comparison, the U.S. came in at #150, and the U.K. at #108! The Happy Planet Index combines life satisfaction, life expectancy and environmental footprint. It measures the amount of land required to sustain the population and absorb its energy consumption or in other words it represents the efficiency with which countries convert the earth's finite resources into well-being experienced by their citizens. A visit to Panama is not simply a vacation; it's an intimate adventure. 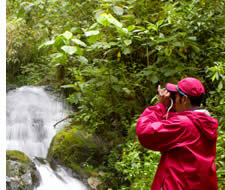 Come explore our beauty, linger in our rainforests, play on our beaches, enjoy our hospitality. Discover Panama for the first time. Scenic mountain landscapes (Boquete, Volcan, Cerro Punta). Breathtaking beaches, rivers and waterfalls. The perfect place for adventure - nature watching, white water rafting, highland hiking and relaxation. Or searching for the elusive Resplendent Quetzal. The province of Chiriqui has everything, no wonder why it has become Panama's ecotourism capital and relocation epicenter. 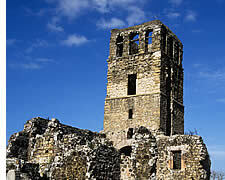 Journey here for a window on Panama's pre-Columbian and Spanish colonial past. Beautiful old churches. Friendly people. Unique natural environments. A place to linger and enjoy. Stop and watch the sea turtles arrive ashore at Isla Caña as they have for millennia. 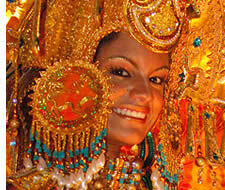 Celebrate Carnival and Corpus Christi amidst folkloric traditions. Waves are for surfers at Playa Venado. Mountains or seashore - the choice is yours. Take an exciting aerial ride through the rainforest canopy. 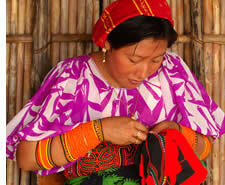 Visit an indigenous handcrafts market. Or bicycle quietly along the scenic coast. Archeological finds suggest that Cocle has about 600 years of pre-history. It was also an important center during colonial times. In almost every major town of Cocle you'll find it is characterized by a colonial architecture with Spanish influence. Simply gorgeous. The paradisiacal islands of its archipelago wait to be explored. The snorkeling, surfing and scuba diving here is exceptional. The Caribbean beaches of Panama are seductive and breathtaking. Beach resorts can be found on the islands. On the mainland, the rainforest dominates. Envision Panama's colonial past. Explore the fortresses and cannons at historic San Lorenzo and Portobelo. Dance to the rhythm of the Congo music. Visit the impressive Gatún earthen dam and the Panama Canal locks. The city of Colon is the northern terminal of the Panama Canal and many cruisers make their stop here. 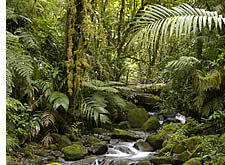 Rainforests alive with ancient pre-Columbian cultures and natural wonders. The biological junction of North and South American flora and fauna species. The Darien Province is an unspoiled region for adventurous tourists. And one of the top bird watching places on Earth. 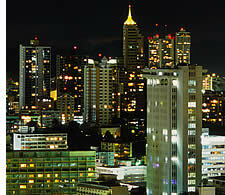 The bustling capital, Panama City, is found here in the heart of the country. Museums, historic landmarks, restaurants, shops, nightlife, excitement. Surrounded by rainforests and beaches. And, of course, the Panama Canal. Tons of Real Estate opportunities. Some say that if you buy an appartment from one of the new projects of the City, you have your investment secured for the next 100 years. On the Pacific side, Santa Catalina, a surfer's paradise. On the Caribbean side, virgin rainforests. In between, picturesque mountains, the Church of San Francisco de la Montana, baroque 17th century religious art and prize-winning orchids. The Land of the Kunas. An archipelago of more than 350 islands surrounded by the aqua-blue Caribbean Sea. Here, nature reigns. Traditions thrive. And time stands still. The natural beauty of Panama amazes all who experience it. Yet Panama is more than the sum of its mountains, beaches, rivers and rainforests. More than the scent of orchids born on a tropical breeze. More than the regal plumage of the Quetzal. Or the glint of sun in a jaguar's eye. And of course, more than the Panama Canal. Panama is a tropical paradise that waits to be explored. The path less traveled. The path that beckons to you. Traveling in Latin America is easier and more convenient from Panama because of the Tocumen International Airport and Copa Airlines. 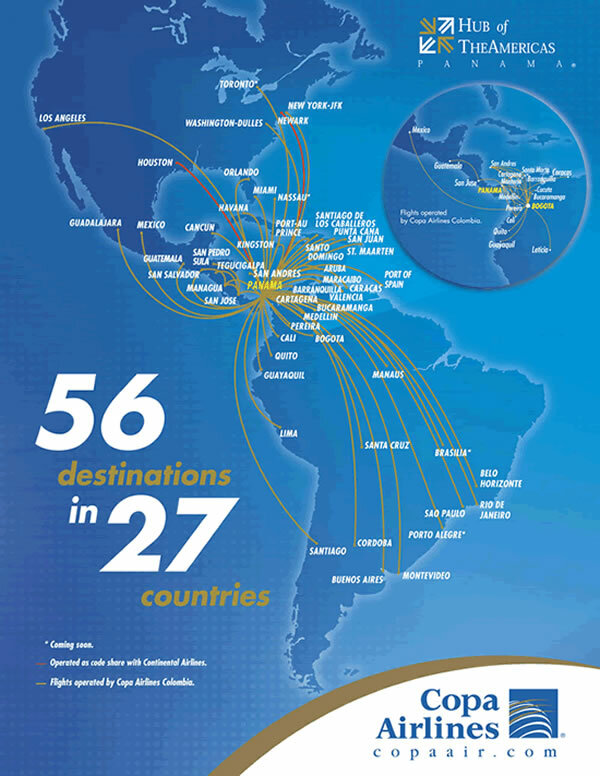 Direct flights to 15 cities in the U.S.A.
Panama is the business and travel hub of the Americas with Copa Airlines: 56 destinations in 27 countries. Legal System based on the civilian legal system, judicial revision of legislative acts in the Supreme Court. Accepting international tribunal jurisdiction, except in some instances. For a more complete set of facts about Panama visit the CIA's World Factbook website. No doubt: PANAMA, it has it all! Contact us! Learn Spanish in Panama with Habla Ya! ALL VISITORS require a valid pasport and a return ticket. Additional requirements vary according to nationality and are subject to change. Citizens from certain countries need a tourist card, others need an authorized visa and others do not need anything. To know if you require a visa depending on your nationality please carry on reading or click here. You are recommended to check with a Panamanian Consulate, Embassy or ticketing agents for airlines that fly to Panama to obtain the most updated and accurate information. In practice, the ticket requirement is mainly for those who enter Panama by bus or by boat. Click here if you would like to know more about visas for Panama.